Charming craftsman home in the gated neighborhood of Windsor Estates positioned in the heart of Santa Rosa Beach awaits you. Beautiful architecture and a well thought out floor plan characterize this beautiful property. 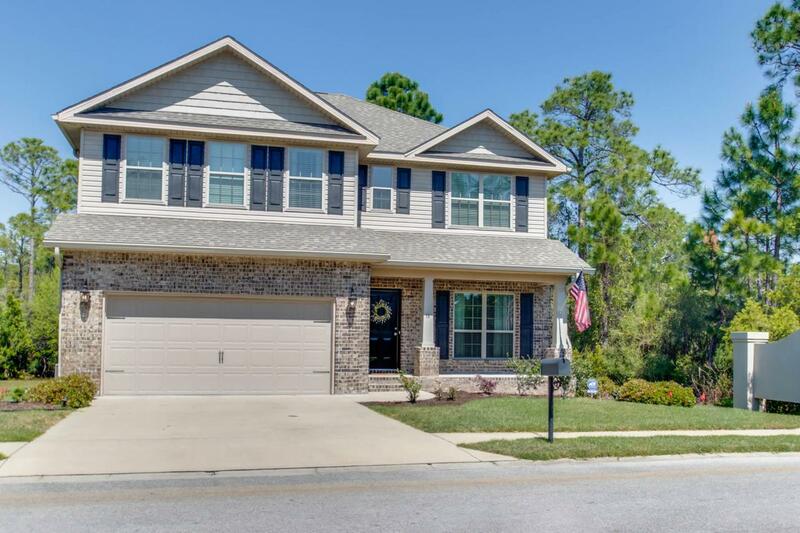 Features of this home include an open concept living space, an enormous lot, a spacious screened porch, a very private large outdoor deck space, a huge extra bonus room, 2 car-garage, large laundry area, tons of storage, luxury fixtures and designer finishes. The floor plan boasts 4 bedrooms, 3 full bathrooms and 1 half bathroom. Highlights include a spacious large master suite on the ground level containing his and her closets and a large bathroom; as well as 3 additional guest bathrooms, 2 guest bathrooms and a large bonus room on the second level.This home is located conveniently within minutes of the sugar white sands and emerald waters of the South Walton beaches as well as the luxury shopping and world-class dining of Grand Boulevard. Do not miss this opportunity to call this property home!